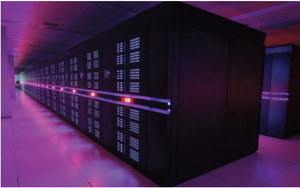 If Bull attains its performance target, it will likely make Tera 100, as the computer is known, the most powerful in Europe, ahead of an IBM computer called Jugene at the J&#252;lich research center in Germany. Bull's previous record-breaker, inaugurated last year, is also at J&#252;lich. It contains 23604 Intel Xeon X5570 cores and has a sustained maximum performance of 0.274 petaflops.